Iran has come sharply back into focus following the end of the Libya conflict. And the unrest has been inflamed by sabre-rattling from top politicians in Israel. President Obama said Iran's nuclear programme continues to pose a threat and that he and French president Nicolas Sarkozy want the international community to maintain pressure on the country to admit its intentions. The International Atomic Energy Agency (IAEA) is preparing to reveal intelligence on Iran's alleged nuclear arms experiments. Iran has consistently denied that it is trying to build nuclear weapons and insists the programme is for peaceful purposes. The U.S., Britain and France want the IAEA to share its intelligence, but Russia and China are pressing for the report to be delayed or scrapped entirely. The UK would be likely to agree to any U.S. decision to invade, even though the Ministry of Defence are stretched to breaking point by swingeing budget cuts and wars in Afghanistan and Libya. An MoD spokesman said: ‘The British government believes that a dual track strategy of pressure and engagement is the best approach to address the threat from Iran’s nuclear programme and avoid regional conflict. A special unit at the MoD has been instructed to work out the UK's strategy if the Army should invade Iran. War planners will look at potential deployments of Royal Navy ships and submarines equipped with Tomahawk cruise missiles and RAF fighter jets armed with precision-guided Paveway IV and Brimstone bombs and missiles, surveillance planes and air-to-air refuelling. 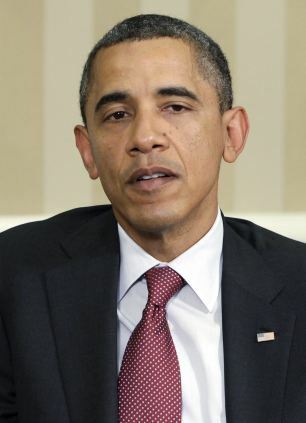 Barack Obama is understood to have no wish to attack Iran in the run-up to the White House elections next year. But Washington may be pressured by Israel if Iran’s nuclear programme is not curtailed. [Ron: Yabba, yabba, yabba... WMD in Iraq ... yabba, yabba. yabba...nuclear program... yabba, yabba, yabba]. Mr Netanyahu is apparently also lobbying Cabinet members for a military strike, despite the likelihood it would draw a retaliation from Iran. [Ron: WHY should Iran sit there like a sitting duck just like Afghanistan, Iraq and Libya before it? These FKN YIDS and their enablers hafta be confronted. 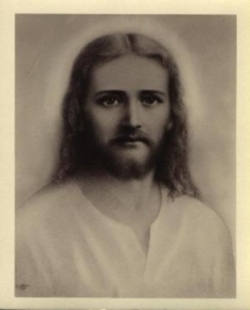 IF not NOW, then WHEN?]. 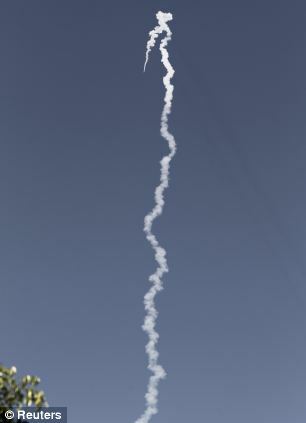 An Israeli defence official said the rocket launched by the military had merely been a long-planned test for a 'propulsion system'. Further information about the rocket was censored by the military, but foreign reports said it was a long-range Jericho missile - capable of carrying a nuclear warhead and striking Iran. Israel considers Iran its most dangerous threat. It cites Tehran's nuclear programme, ballistic missile development, repeated references by the Iranian leader to Israel's destruction and the government's support for anti-Israel militant groups Hamas and Hezbollah. Mr Ahmadinejad denies his country is trying to produce a bomb, claiming its nuclear programme is only intended to produce energy for the oil-rich country. But the work could only be for the design and development of a nuclear warhead, according to the International Atomic Energy Agency's report. 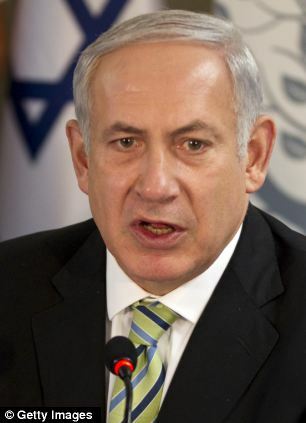 Israel have repeatedly insisted that economic sanctions could persuade Iran to halt its nuclear ambitions. Diplomats [Ron: WHICH ONES?!] have been lobbying the international community for tougher sanctions - but have now stepped up their interventions. It comes as Mr Netanyahu defended his decision to expand settlements in east Jerusalem. He said it was Israel's 'right' and 'duty' to build in all parts of its capital. Israel captured east Jerusalem in the 1967 war, along with the West Bank. Palestinians claim that section of the city as their future capital. Yesterday, Mr Netanyahu's office said 2,000 new apartments would be built in Jewish areas of east Jerusalem. Officials said the move was a response to recent unilateral steps by the Palestinians, particularly its acceptance into the UN cultural agency UNESCO. Work to develop nuclear facilities began in the 1990s, with the Russian Federation providing experts, although the U.S. blocked the trade of equipment or construction of technology for Iran. 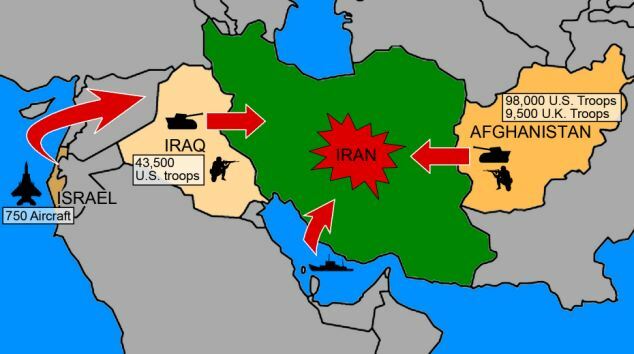 International attention was drawn to its developing nuclear potential in 2002 after an Iranian dissident [Ron: This scenario is an exact replica of the lying methodology used to justify for invading Iraq!] revealed the existence of two sites that were under construction - a uranium enrichment facility in Natanz and a heavy water facility in Arak. The International Atomic Energy Agency (IAEA) sought access to these facilities, but it wasn't until 2003 [Ron: WTF?! thatEIGHT YEARS AGO!] that Iran agreed to cooperate with it and suspend enrichment activities. 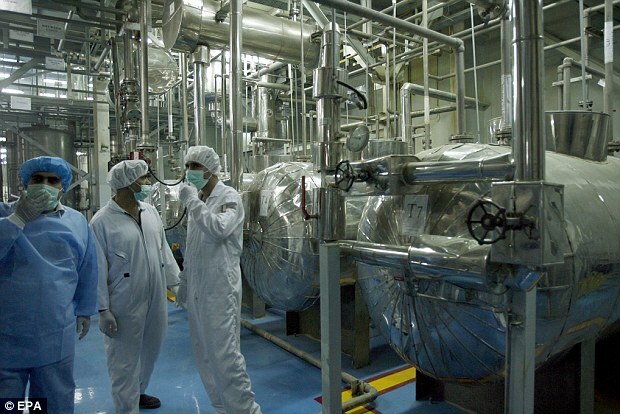 The investigation revealed Iran had failed to meet several obligations, including divulging the importation of uranium from China. The following year, work began on the construction of a heavy water reactor, but again Iran announced a suspension of uranium enrichment under the terms of the Paris Agreement. After Mahmoud Ahmadinejad's election as president in August 2005, Iran removed the seals on its enrichment equipment and effectively rejected the Paris Agreement. 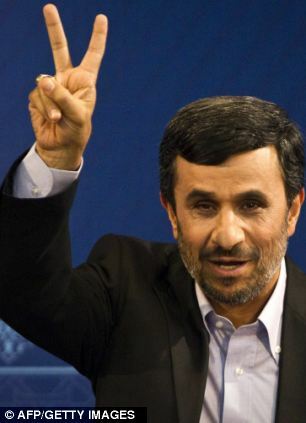 President Ahmadinejad announced that Iran had successfully enriched uranium in a televised address in 2006, where he announced the country had joined those with nuclear technology. 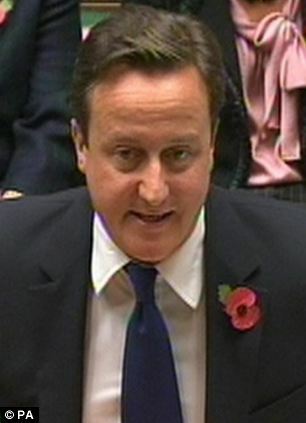 Subsequently the UN Security Council has passed seven resolutions on Iran insisting it ends its enrichment activities. [Ron: How many UN Resolutions have been made against ISRAEL and ignored?]. These have included freezing the assets of people and organisations linked to its nuclear and missile programmes. [Ron: Such action is THEFT - as was the case recently in relation to Libyan wealth and assets!]. 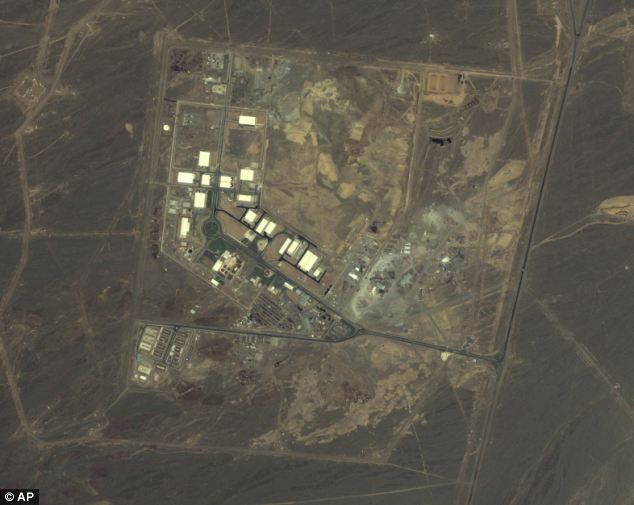 Iran revealed it was building a second enrichment facility in September 2009, 20 miles north of Qom. 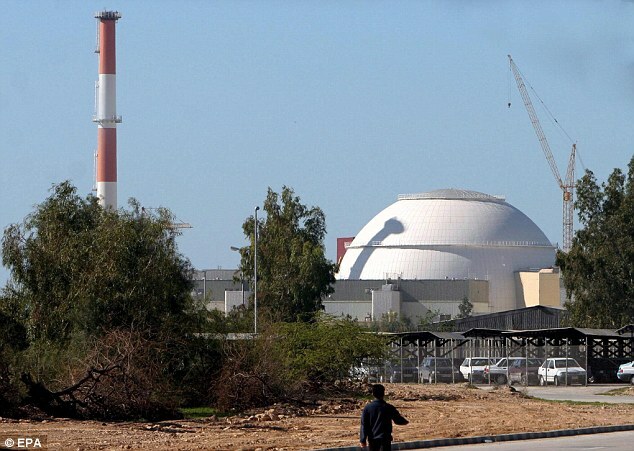 Iran began fueling its Bushehr I reactor on August 21, 2010, apparently to help create nuclear-generated electricity. But Tehran has also accused intelligence services from the U.S., Britain, Germany and Israel of sabotaging its nuclear capabilities. Over the last two years, three Iranian scientists have been killed and one wounded in the capital. In January 2010, Masoul Ali Mohammadi - a particle physicist - was killed by a remote-control bomb as he left for work. In November 2010, Majid Shahriar - a nuclear physicist - was killed when a bomb was stuck to the side of his car by a man on a motorbike. And in July, physicist Darioush Rezaie was shot dead. 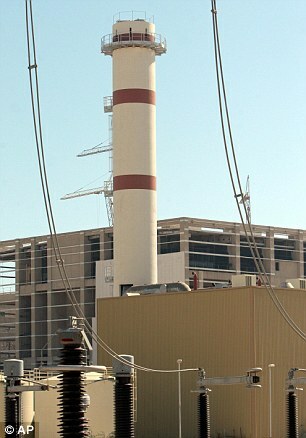 A computer worm also infected systems at the Natanz enrichment plant in 2010, causing centrifuges to crash and suspended work. He has blamed Israel for disruptions to the nuclear programme, including the mysterious assassinations of a string of Iranian nuclear scientists and a computer virus that wiped out some nuclear centrifuges. 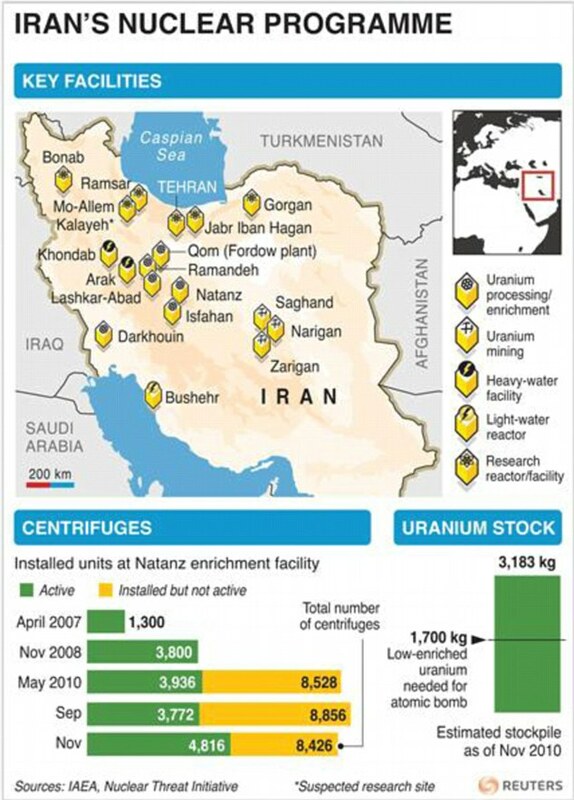 But a report by the UN's nuclear watchdog due to be published next week will provide fresh evidence of Iran's activity, bringing the Middle East a step closer to another devastating conflict. It is the latest of a series of quarterly bulletins on Iran's arms programme, but will contain an unprecedented level of detail on research and experiments carried out in recent years. It comes as a draft report revealed China is continuing to provide advanced missiles and other conventional arms to Iran, in violation of UN sanctions against the regime. [Ron: Sooo, SUE the Chinese!!!]. The report, from the U.S.-China Economic and Security Review Commission, revealed China sold $312million of arms to Iran, second only to Russia. [Ron: Is that a crime? These are paltry sums in any event compared to the billions of dollars of arms and munitions the US gives to Israel year after year.]. 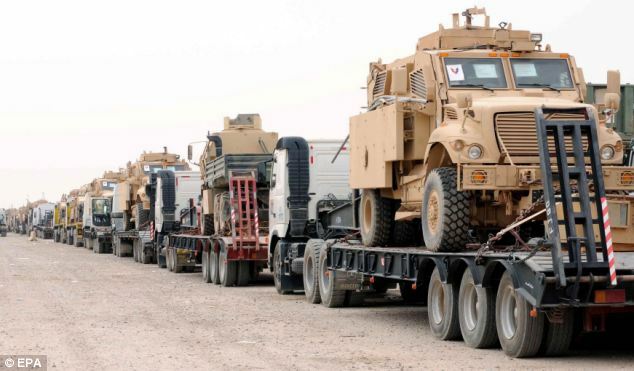 It also noted that after Russia began cutting back arms transfers to Iran in 2008, China became the largest arms supplier to the Iranian military. 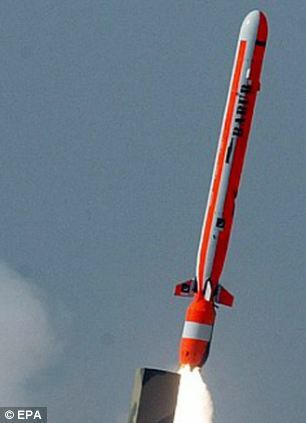 Most of the weapons transfers involved sales of Chinese anti-ship cruise missiles, including C-802 missiles that China promised the U.S. in 1997 would not be exported to Iran. The report says: 'Because of the relatively short range of these missiles, China's provision of them to Iran does not violate the Iran, North Korea and Syria Non-proliferation Act of 2006, which seeks to prevent the transfer of only those missiles that can carry a 500kg warhead more than 300km.